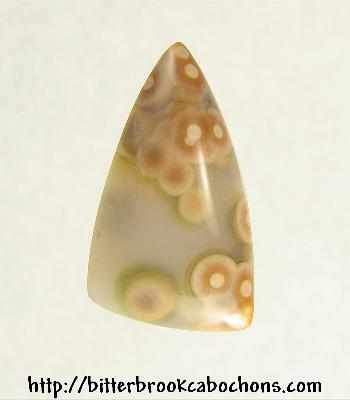 This little Ocean Jasper freeform-cut cabochon is technically a rescue cab in that it was cut from a leftover piece. If you know me then you know I would never throw Ocean Jasper away, regardless of its size. But I'll share this little beauty with you! 20mm x 12mm x 5mm. Weight: 8.30 carats.